Best died at the scene and Namkai Meche died at the hospital. The victim who was injured in the attack has been identified as 21-year-old Micah David-Cole Fletcher of Southeast Portland. 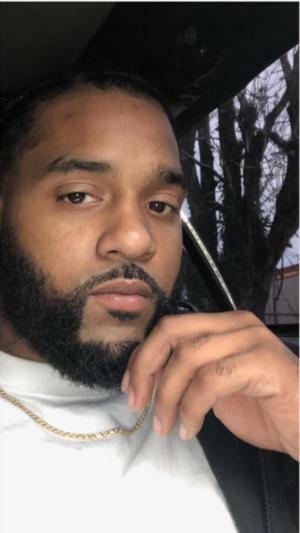 He remains in a Portland hospital being treated for serious, but not believed to be life-threatening injuries. The Oregon State Medical Examiner is conducting autopsies on Best and Namkai Meche today; results are not expected until later in the afternoon. Homicide detectives are continuing to investigate the circumstances leading to the violent attack. As part of that investigation, detectives will extensively examine the background of the suspect, Jeremy Christian, including the information publicly available about the suspect's extremist ideology. 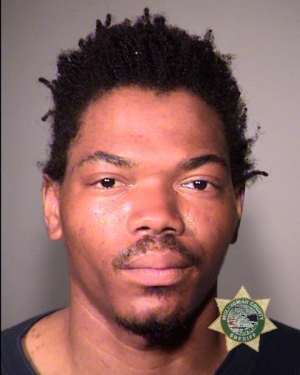 A review of the suspect's record with the Portland Police Bureau shows he is not flagged as a criminal gang member, nor does he have any known mental health history listed. 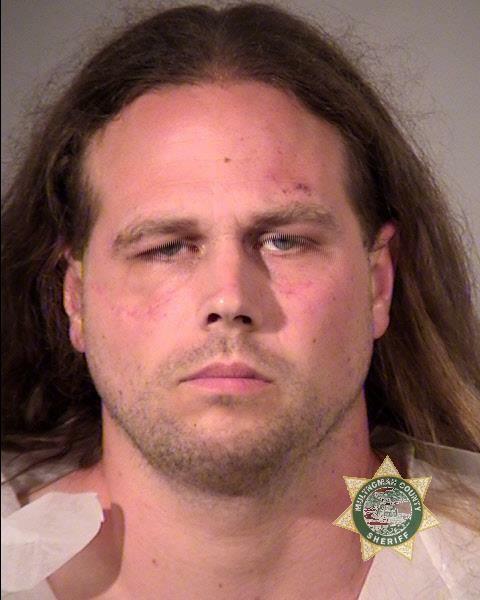 The suspect will be arraigned on Tuesday May 30 (not Monday as originally released) in Multnomah County Court. The two young women who left the scene have been identified and detectives have been in contact with them. Their names are not being released at this time. Anyone (not media) with information about this incident, any witnesses who may have left the scene, or anyone with information about the suspect may contact Detective Michele Michaels at 503-823-0692, michele.michaels@portlandoregon.gov. 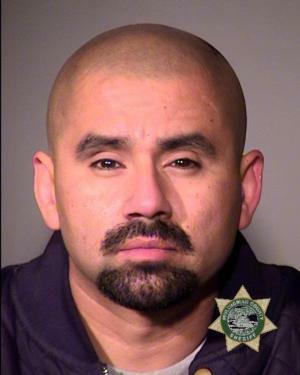 The suspect in last night's double homicide was booked into the Multnomah County Jail early this morning. 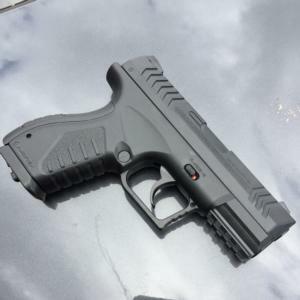 35-year-old Jeremy Joseph Christian of North Portland was booked on charges of Aggravated Murder (two counts), Attempted Murder, Intimidation in the Second Degree (two counts), and Felon in Possession of a Restricted Weapon. Christian is being held without bail. Christian will be arraigned on Monday in Multnomah County Court and may face additional charges after the Multnomah County District Attorney's Office presents the case to a grand jury. The Oregon State Medical Examiner is scheduled to conduct autopsies on the two deceased victims late-Saturday morning. After the autopsies, the names of all three victims will be released to the public. No additional information is being released at this time. Two people are dead and one person is injured after a disturbance and stabbing on a MAX train at the Hollywood Transit Station. The suspect is in custody and there is no further public risk. This investigation started on Friday May 26, 2017, at 4:30 p.m., when North Precinct and Transit Police Division officers responded to the report of a disturbance on an eastbound MAX train at the Hollywood Transit Station involving a male who stabbed two other people. Multiple officers responded to the area and, while enroute, learned that the suspect got off the train and was leaving the area on foot towards Providence Medical Center. Officers and medical personnel arrived at the Hollywood Transit Station and located three stabbing victims. Officers began immediate medical treatment to the victims at the scene until medical personnel arrived. One victim, an adult male, died at the scene. The other two victims were transported by ambulance to a Portland hospital, where one was pronounced dead and the other was treated for injuries that are not expected to be life-threatening. The suspect was located by officers and taken into custody. The suspect received medical treatment and was turned over to Homicide detectives. Preliminary information indicates that the suspect was on the MAX train yelling various remarks that would best be characterized as hate speech toward a variety of ethnicities and religions. At least two of the victims attempted to intervene with the suspect and calm him down. The suspect attacked the men, stabbing three, before leaving the train. Witnesses described to police two young women, possibly Muslim, who were on the train at the time of the disturbance and attack, but left prior to police arrival. The young women have not been identified but one was described as wearing a hijab. Detectives would like to speak to them, and any other people who left the scene, as they may be witnesses to this incident. East and westbound MAX trains will not be running for several hours due to this ongoing homicide investigation. Commuters and/or transit users are encouraged to seek alternate transportation or visit www.trimet.org for service updates. The names of the victims are not anticipated to be released tonight. Once the suspect is booked, his name, charges, and booking photo will be released. Anyone who was a witness to or has information about this incident is asked to call the Police Non-Emergency Line at 503-823-3333.